While crashing into things is part of the fun of robotics, there comes a time in every maker's life where they want precision and function. Enter the Sharp GP2Y0A02YK0F sensors. 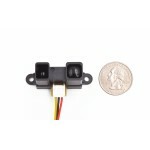 These IR sensors will add obstacle avoidance and motion sensing to the list of mods you’re creating for your robot. Also suited for more stationary projects that require accurate distance measurements. 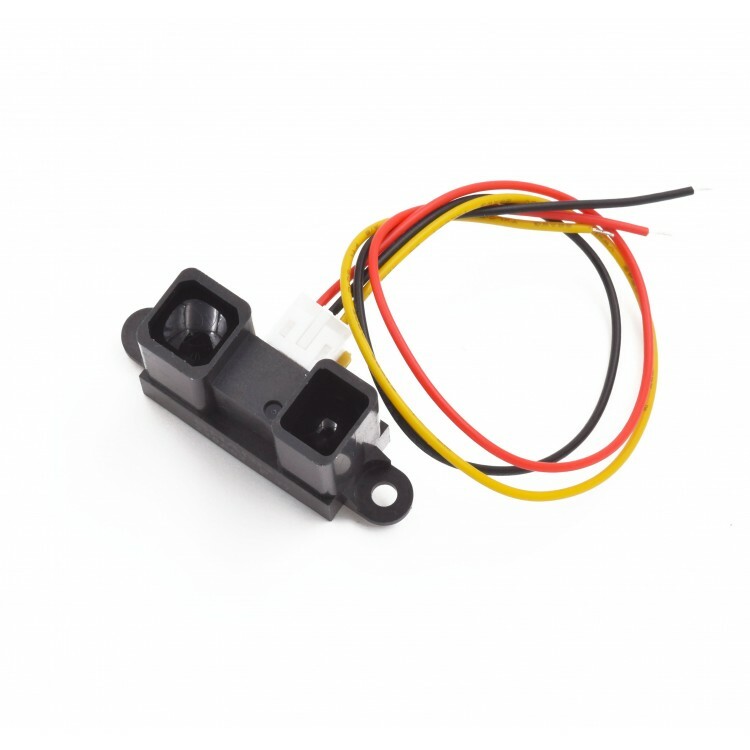 An alternative to sonar rangefinders, this GP2Y0A02YK0F Sharp sensor will provide accurate distance measurements at a more affordable price. This particular Sharp sensor will detect distances in a range of 8″ to 60″ (20-150 cm). 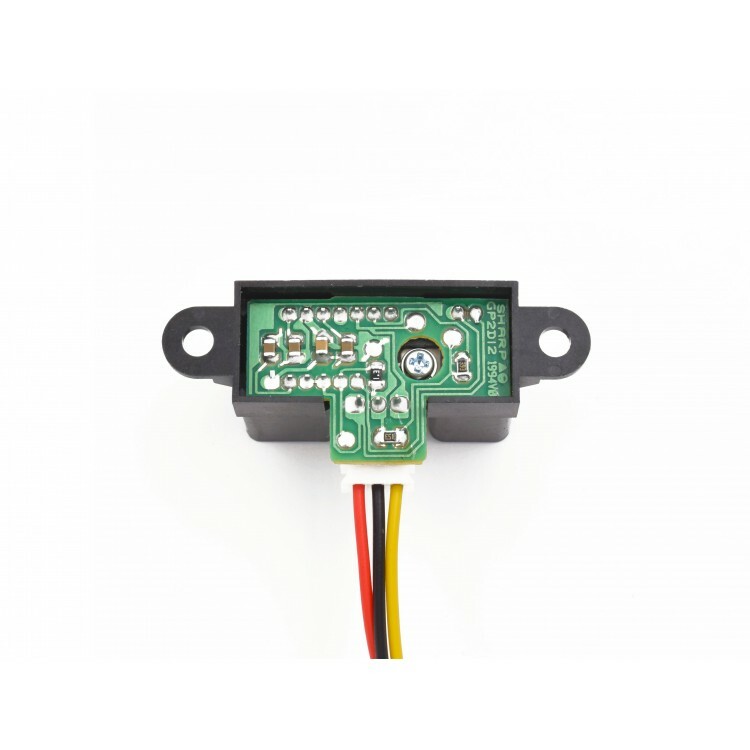 The GP2Y0A02YK0F uses a 3-pin JST PH connector that works with our 3-pin JST PH cables for Sharp distance sensors, also included is a 3-pin JST PH cable 8 in (20 cm) in length for each unit. 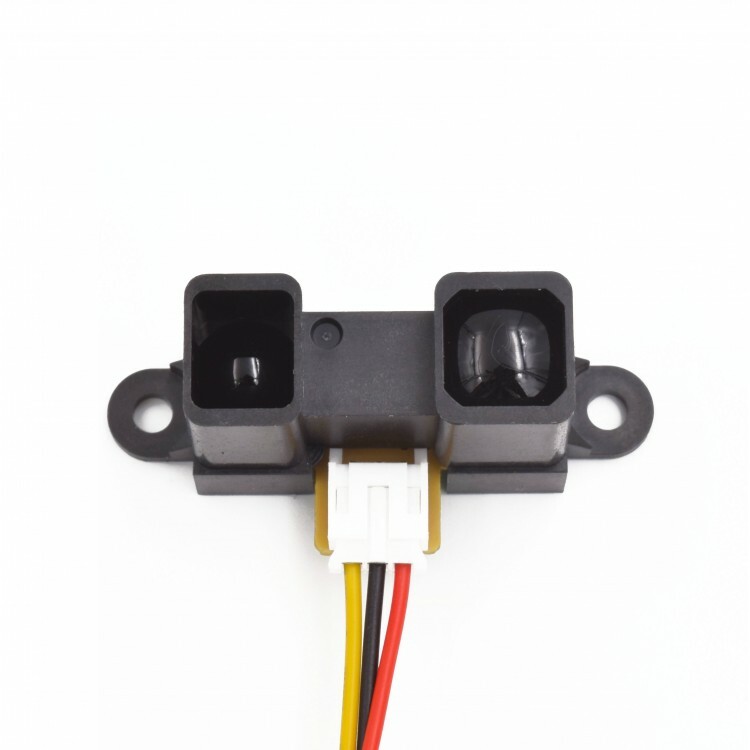 How it works: Infrared is sent out by the sensor which bounces off objects. The analog voltage that is returned determines how close the nearest object is. 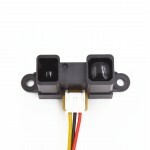 The closer it is, the higher the voltage is returned.